In 2013, Automags.org has moved away from a feedback thread system to using the"iTrader" mod for Vbulletin. The system is very simliar compared to other sites like MCB and PBN. To submit feedback for a deal performed on AO follow the directions below. Step 1: Within the forum post, find the user and click on their name. Select "View Profile"
Step 2: In the user profile click "Feedback Score"
Step 3: This is the main area for the users feedback. 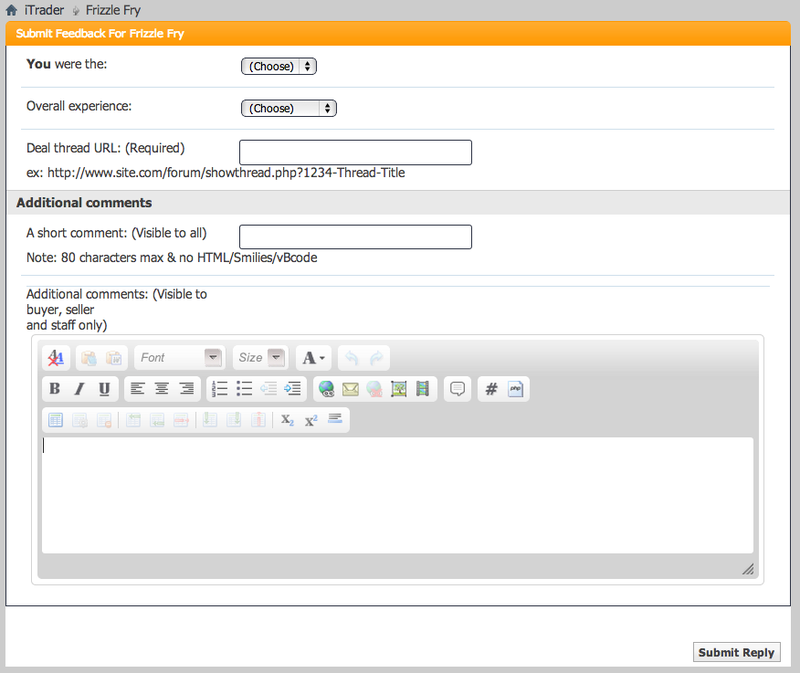 Click "Submit Feedback for .... "
Step 4: Input information into the form. Please include the thread the deal was done in. We are currently working with the mods so they do not have to delete the for sale threads. I recently purchased an item via private message from the user chronobreak and for the past weeks have been patiently trying to get a in touch with him as he has never sent the item. What can I do to resolve this?